Edward Hopper, Automat, 1927, originally uploaded by Gatochy. Click image for 550 x 434 size. I wish we still had automats! 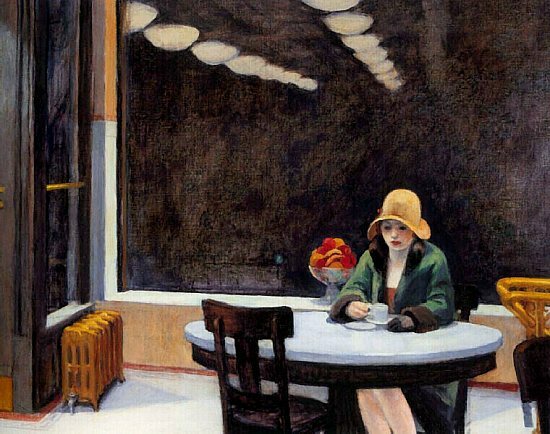 This girl in the painting doesn't look very happy, but I think automats must have been such fun. I love Hooper and this painting.